Pandora users are gaining access to some of SiriusXM's most popular talk shows. These shows will be available on Pandora as podcasts, with free and premium Pandora users both able to tune in. This is thanks to SiriusXM having acquired Pandora in early 2019. "We're excited that some of our most popular talk shows are now being made available to Pandora users. 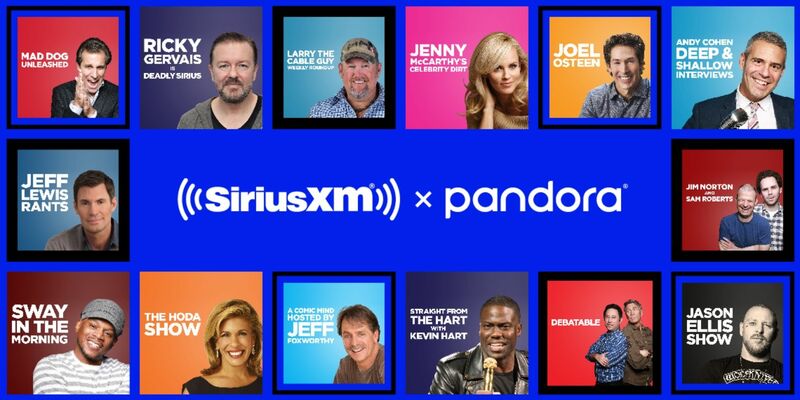 This will be a great opportunity for new audiences to discover these SiriusXM shows, while providing Pandora with great programming, as we continue to collaborate on content opportunities for both platforms." SiriusXM's talk shows should all be available right now, and located within the Podcasts on Pandora section of the app. If you're a Pandora user who is passionate about podcasts you can find a full list of the SiriusXM shows on this Pandora Blog post. Given that both SiriusXM and Pandora have struggled in the face of intense competition, sharing content in this way makes perfect sense. And it's an especially good deal for Free Pandora users who will gain access to previously paywalled content. Unfortunately for those of us located outside the United States, Pandora isn't available worldwide. However, we have previously listed a number of free Pandora alternatives worth checking out. And some of them even boast their own podcasts.